Fifty years after the war, she discovers what he never did—that her mother and Hitler’s mistress were friends. The secret surfaces with a mysterious monogrammed handkerchief, and a man, Hannes Ritter, whose Third Reich family history is entwined with Anna’s. Plunged into the world of the “ordinary” Munich girl who was her mother’s confidante—and a tyrant’s lover—Anna finds her every belief about right and wrong challenged. With Hannes’s help, she retraces the path of two women who met as teenagers, shared a friendship that spanned the years that Eva Braun was Hitler’s mistress, yet never knew that the men they loved had opposing ambitions. Eva’s story reveals that she never joined the Nazi party, had Jewish friends, and was credited at the Nuremberg Trials with saving 35,000 Allied lives. Phyllis Edgerly Ring writes fiction and non-fiction. She left a part of her heart in her childhood home of Germany, which she visits as often as she can. 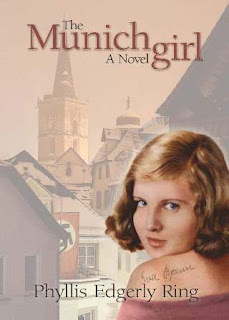 Her newest release, The Munich Girl: A Novel of the Legacies That Outlast War, follows the lives of three women there before, during, and after the Second World War. The novel’s protagonist begins a journey that links past and present when she discovers that her mother shared a secret friendship with Hitler’s mistress, Eva Braun. 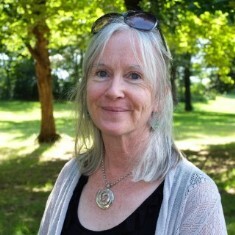 The New Hampshire author loves writing, travel, and the noblest possibilities in the human heart and is always curious to discover how history, culture, relationship, spirituality, and the natural world influence us and guide the human family on its shared journey. For more information, please visit Phyllis Edgerly Ring’s website. One of my favourite books that I've read this year.